A few weeks ago, I woke up early and headed across London for an early morning exercise class with a bunch of other bloggers. We were being introduced to Sam Wood who is the power behind 28 by Sam Wood. 28 by Sam Wood is an online training and nutrition plan that is in 28-day blocks and is hugely successful in his native Australia. I have to admit that I am not the fittest I have ever been and I definitely am not the lightest. I desperately want to find a way to lose weight but I have a real issue with finding the time to go to the gym. The 28 by Sam Wood plan includes daily emails with videos focusing on workouts, mindfulness and motivation. There is also a fabulous facebook group full of support and the online (or app-based) plan where you can see more workouts and your eating plan. You can swap out various meals if you need to and you can even change how many portions you are cooking in the recipes. The exercises can all be done within the comfort of your own home and you do not need a gym membership. The plan includes access to a locker full of handy articles and videos. There are exercises for pregnancy, postpartum, low impact, pilates and yoga. There is also a huge range of recipes to choose from which means you should never get bored with what you are eating. 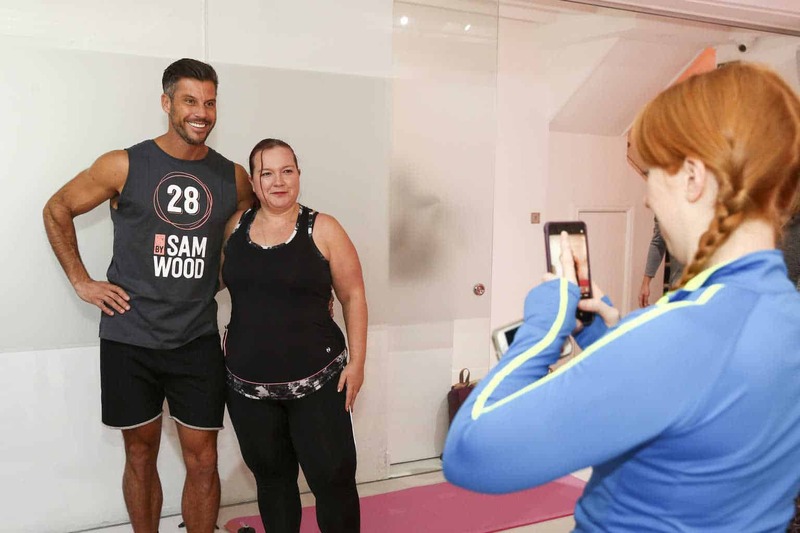 There are lots of healthy eating plans or exercise plans out there but the one thing that really stuck with me with the 28 by Sam Wood plan is Sam Wood himself. Sam has an amazing personality that just pushes you and inspires you to keep going. I mean he had me exercising when all I wanted to do was to collapse in a sweaty heap on my mat. Sam posts on his Insta stories all of the time and shares the successes of his 28ers to help keep them motivated. I will be honest and say that the programme still needs a few tweaks before I think it will be hugely successful in the UK. I would love to see a dairy free option and a vegan option as well. I also got very excited by the ready meal option before I realised that it was for an Australian company (sadly because they look amazing). The 28 by Sam Wood plan costs just £1 a day and you sign up for a recurring 28-day subscription which you can cancel at any time. You get your meal plan including snacks and on Monday to Friday, you get a 28-minute workout video with Sam. At the weekend you will do some active recovery exercises such as pilates or yoga. This post is in collaboration with 28 by Sam Wood. I was compensated for my time to travel to London and attend the exercise class but all thoughts are my own.